Serafim Casanova worked with paper used in gaskets, at Hollingsworth & Vose in Walpole. Last month, a five-alarm fire ripped through the shuttered buildings of Merrimac Paper Co. in Lawrence, consuming the once mighty riverfront mill that produced high quality papers for customers such as National Geographic magazine. The destruction of the 19th-century mill complex seemed to symbolize the fate of one of New England’s traditional industries, one that like textiles and shoes succumbed to the forces of technology and globalization. At one time, hundreds of paper and pulp mills, employing tens of thousands of people, dotted New England rivers and communities. Today, in the face of foreign competition and a digital society demanding less and less paper, fewer than 50 paper mills still operate in the region. Despite this decline, papermaking still plays an important role in rural economies, where the mills are often among the largest employers in their communities, while supporting jobs in other industries, such as logging, transportation, and warehousing. In Erving, a Western Massachusetts town of about 1,500, the 105-year-old Erving Paper Mills Inc. employs 130 people. The industry still faces immense challenges, including the rising cost of electricity, ever stricter environmental regulations, and the emergence of China as major manufacturer of paper and paper products. But those New England companies that have survived expect to stay in business for quite some time. As with companies in almost any mature industry, those that survive have adapted operations and products to changing times, tastes, and demands. In Bennington, N.H., the nearly 200-year-old Monadnock Paper Mills Inc. once made specialty papers for vacuum cleaner bags. But today it is riding a growing sustainability movement that disdains plastic by making biodegradable packaging, hotel key cards, and other products out of paper. “Being environmentally friendly can be profitable,” said Richard Verney, the chief executive. Hollingsworth & Vose Co., owner of two mills in Walpole and Groton, technically no longer makes classic paper or pulp products. Rather, it uses microfiber glass, Kevlar fibers, and other materials to make paper-like products for filters in trucks, computers, hospital clean rooms, semiconductor plants, and heating and ventilation systems. Hollingsworth & Vose, which can trace its corporate roots back to 1843, made the switch to these kinds of specialty materials decades ago as a way to tap into new markets and distinguish itself from rivals. Still, the chief executive of the family-owned company says it’s a constant challenge todevelop niches and products. Hollingsworth & Vose CEO Val Hollingsworth says developing specialties takes time. In Massachusetts, 13 paper mills operate in 10 communities, employing about 1,800 — about half the employment level of just over a decade ago, according to the US Labor Department. Nationally, employment in paper and pulp manufacturing has fallen by about 40 percent, to less than 110,000 jobs, from nearly 180,000, in the same period. Paper- and pulp-making have followed trends similar to other manufacturing industries over the past several decades. Even as the number of jobs and companies declined — about 800 mills operated across the country 40 years ago compared with about 350 today — consolidation, automation, and greater productivity have led to increased output. In the mid-1960s, US mills produced 43.5 million tons of paper and pulp. By 2000, production peaked at about 96 million tons, driven by a growing global population and rising demand for computer-printer and fax-machine paper in the 1980s and ’90s that defied predictions of a coming paperless society. But those forecasts are becoming partially true, providing a new challenge to the industry as more people, led by a younger generation that prefers hand-held gadgets such as smartphones and tablets for reading and writing. US paper and pulp production fell to about 82 million tons in 2012, with the biggest declines occurring in paper made for newspapers, magazines, and writing, said Greg Rudder, editor of Pulp & Paper Week, an industry publication owned by Risi Inc. of Bedford. Still, paper-makers have found new opportunities in an Internet-driven world. That includes the Kraft Group. 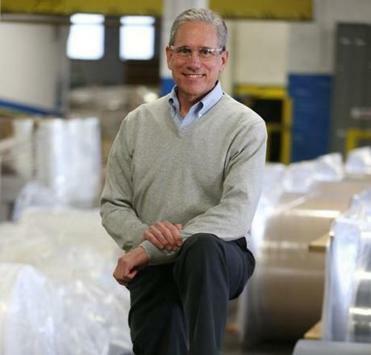 Best known as the owner of the New England Patriots, the Kraft Group also includes a number of paper-related units, including Rand-Whitney Containerboard, which manufacturers liner board, or the brown paper that surrounds corrugated boxes. The increase in e-commerce — and the corresponding jump in products delivered via old-fashioned mail — has proved a boon for the company, said Jonathan Kraft, president of the Kraft Group. 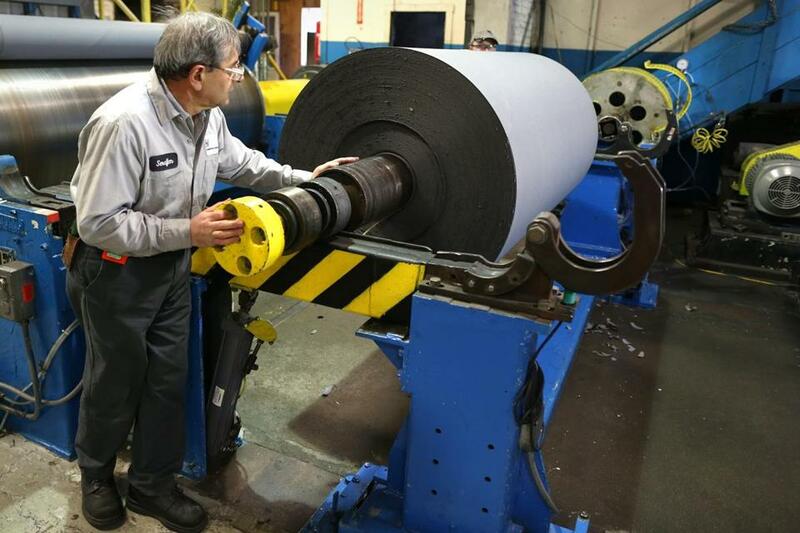 The firm’s mill in Montville, Conn., for instance, makes about 250,000 tons of liner paper a year — and all of it from recycled paper, Kraft said. The ability to adapt to changing markets and find product niches, as well as modernized paper mills and a highly trained workforce, could lead to a more stable environment for the US paper industry, said Rudder. He also noted that the United States has an abundance of forests and wood supplies that give it an advantage over other countries. Maine, one of the most heavily forested states, remains the nation’s second-largest producer of paper and pulp, behind Wisconsin. Employing about 7,000 workers, Maine’s 12 major mills export many of their products overseas and across the nation. The bottom line, industry officials say, is that the paper mill survivors can still survive, despite many challenges, as long as they can adapt to market changes.